My guitar building philosophy, like my bass building is simple: I set out to design instruments that are not just another copy or knock-off! I draw inspiration from all those who have gone before me including Martin and Taylor as well as other luthiers I know personally. 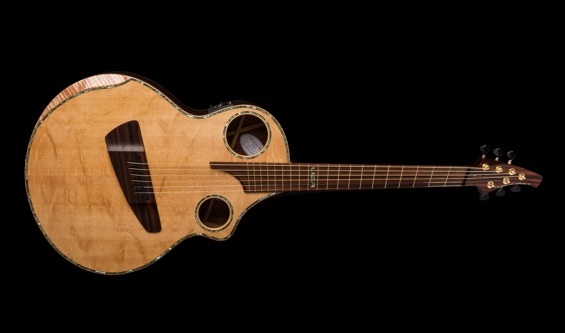 I offer a twin sound hole guitar called the 2H SoftCut and as single hole called the 1H Offset.